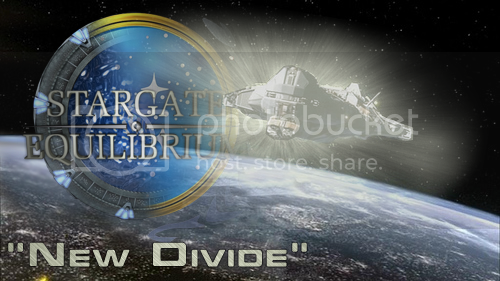 Stargate Equilibrium S01E01 "New Divide"
of the planet and seemingly intact. variations") because he still beleives he can make it function properly. This is a MINI-SRP which will air for the first time today, feel free to have a look on the 3rd Fleet Server when it is on! Edit: This is delayed due to personal reason, next week, all join! God, what is it with people being so nasty to Con-man? What has he done to your Brex? Thats a bit...iffy ? As alot of work goes into any SRP yet no one turns up to other SRPs sometimes no ? Well again, the planning Phase of Stargate Equilibrium took months, on top of that we also had to change the Pilot air date twice, because my XO was busy at the time, then we crashed the server. As for your statement on no body turning up to other SRP's out there well, that is a problem for everybody who creates a Serial Role Play, how they deal with it is there own choice but from what ive seen here over the last 2 years people who respond well to the story and arc tend to appear for the next episodes. I know that if Stargate Equilibrium has a successful first episode, we will have to deal with that issue as well.